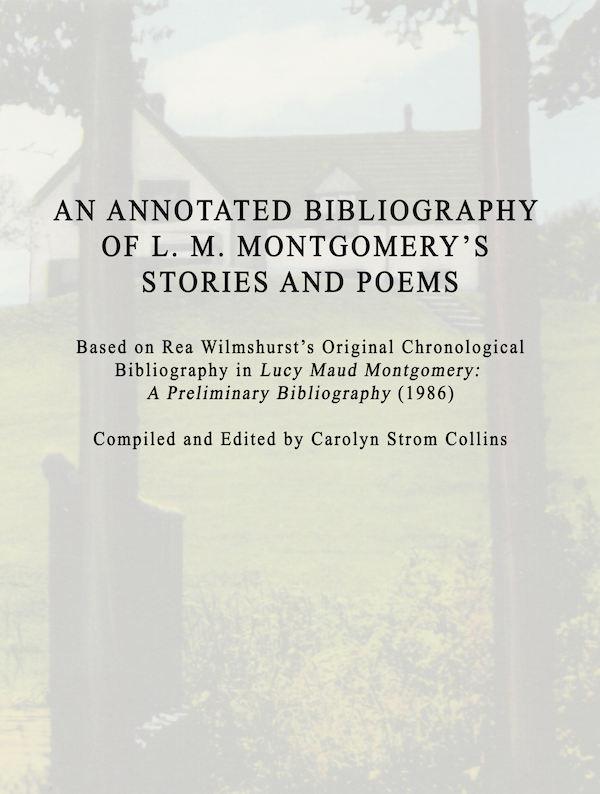 Since Rea Wilmshurst’s bibliography of Montgomery’s stories and poems was published as part of Lucy Maud Montgomery: A Preliminary Bibliography (Russell, Russell, and Wilmshurst: University of Waterloo, 1986), several independent researchers have been searching for more citations. Now Wilmshurst’s original bibliography has been updated with hundreds of new citations, showing the depth and breadth of Montgomery’s publishing history. In addition to updating Wilmshurst’s chronological bibliography, two more sections list the stories and poems – over 500 of each -- according to the hundreds of periodicals in which they were published. Selected annotations from Montgomery’s journals and letters provide context for many of the stories and poems.